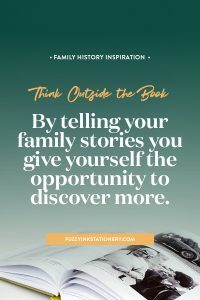 The Think Outside The Book series is where I explore alternative ways for you to tell your family history. And then share those ideas with you once a month. 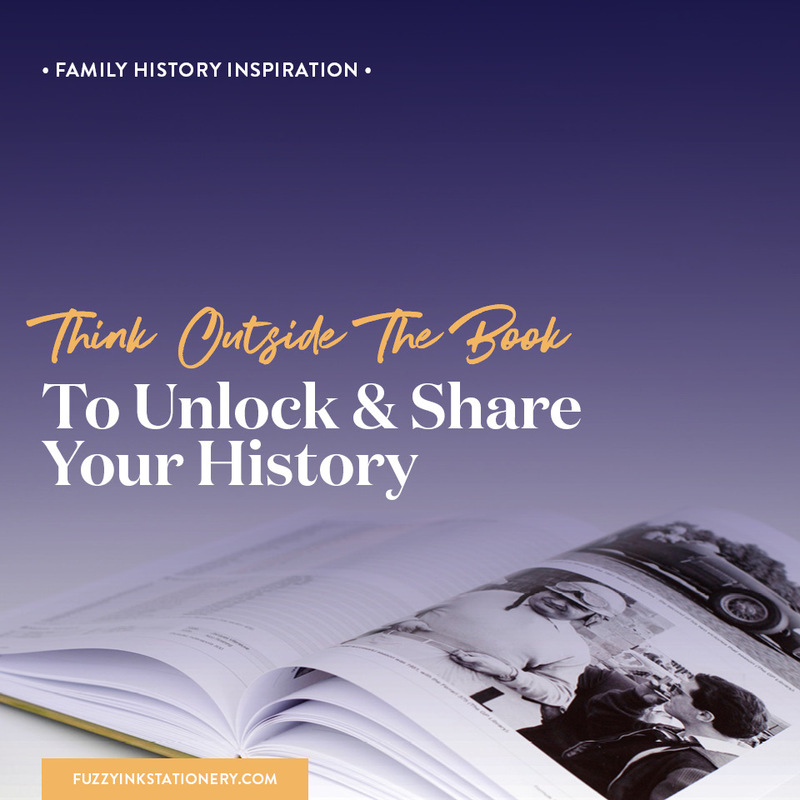 When I wrote the first post for the series, I had thought of five alternatives to a family history book. That was it. Seriously, that was all I could think of, and I have proof. Apparently, I didn’t have my creative thinking in high gear that day! What I did have was the motivation to start exploring and writing about each idea. So instead of that being the end of the series, it has inspired five more ideas to share with you. Before I launch into that next phase, I wanted to take a few minutes to recap the series so far. To use this opportunity to weigh up which idea/s are the most feasible to help you in your storytelling. So, let’s dive into a quick review of the first five instalments of the Think Outside The Book series. 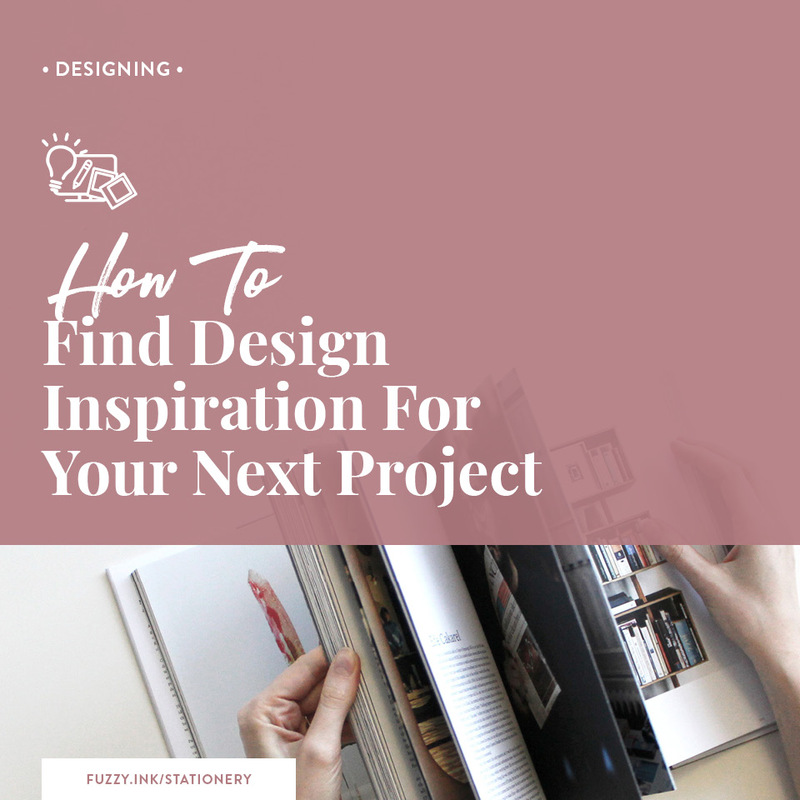 Do you find that the first idea you have is usually the one that you don’t continue with? Not because it wasn’t worth exploring but due to all the new ideas that grabbed your attention afterwards. That wasn’t the case with the idea of a family history blog. It’s something that I’ve kept coming back too even as I explore the other alternatives. I like this idea because of the flexibility, how easy it is to start and budget-friendly to action. Now I’m not talking about a blog on your genealogy research adventures but one dedicated solely to storytelling. One where you share the stories for either one ancestor or an entire family line. What I love about this idea is that you can structure it however you want. You can follow a traditional book format or get creative. Your only limit is your imagination. Sites like Blogger, WordPress.com or Wix make it easy to set up a blog in less than fifteen minutes. And it doesn’t have to cost you a cent. All options give you a choice of themes so you can customise the look to suit your storytelling style. How you approach the telling of the story is entirely up to you. You might prefer to stick with the traditional approach and have chapters. Or take a leaf from the (online) pages of your favourite magazine and publish favourite stories that will get engagement. And then use categories or tags to group topics together. Because you aren’t writing a book, you don’t have to finish everything before you post. Engage your audience as you write and upload a chapter, or a story, at a time. That takes the pressure off to write within a set time frame. Plus, it gives you the flexibility to make changes if you make more discoveries in the storytelling process. And speaking of flexibility, if you spot a typo or discover an error, then you’ll fix it quickly and effortlessly. Finally, you can write and publish anywhere, anytime. From your laptop, tablet or the community computer at the library. Wherever you have an internet connection and can access your blog site from the browser. You decide if you want your family history blog to show up in google searches or by invitation only. And if you change your mind, then you can quickly change the setting. The upside of a public site is that other researchers of that family line can find you. The downside is you can’t control who takes your images or copy. If you do take the public route, include a copyright statement and consider watermarking any photos. Most sites will give you the option to add other authors to your blog. 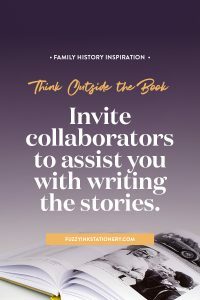 Which is a great way to include guest bloggers, co-authors or regular collaborators and take some writing pressure off you. It adds another perspective to the storytelling, particularly in areas where others are more expert than you. Your images or content are open to copying or use by other people. Consider watermarking pictures and investigating other options to protect your intellectual property. Posts will display from newest to oldest, so the first one will always be last on the list. If the order is important, change the date of any new posts to make them earlier than the first one. Or set the publication date to fit the story. Your blog will only be viewable on a computer, tablet or smart device so may not suit all content. 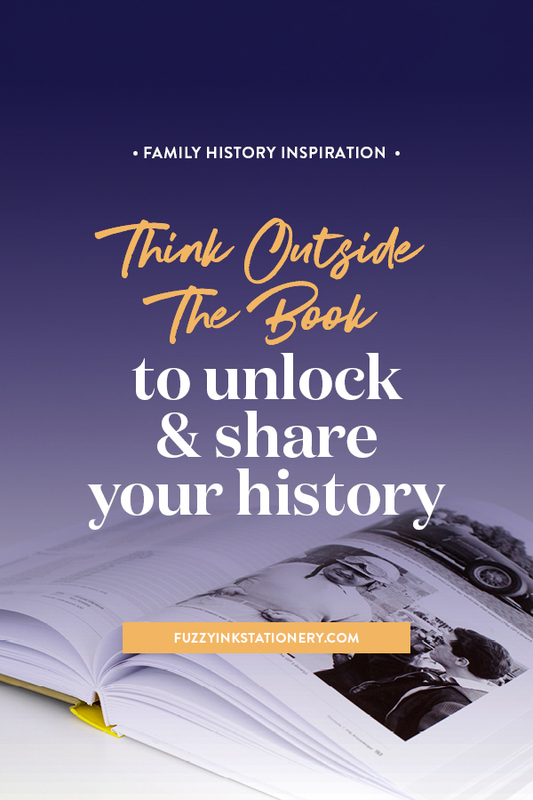 A family history diary is an opportunity to see your ancestors’ stories from a different perspective – theirs. Now, this doesn’t mean that you have to take a deep dive into their emotions. Nor will you have to make up anything that didn’t happen. In fact, you’ll only be using verified information that you gathered during your research. Generally speaking, all family history narratives fall under the creative non-fiction genre. I think that depends on the particular work, but this format fits within that genre. It’s important to understand that this genre is not about inventing what you don’t know. Instead, it is about how you craft the story around what you have learned. A diary has to be the most flexible ‘Think Outside The Book’ option because it can be whatever you want. Tell the story as a timeline, write in the first person, and the rest is open to your interpretation. How you approach writing your family history is up to you. The diary concept has enough flexibility to let you find the format that best fits for your writing style. Choose one ancestor and write in the first person from their point of view. A diary is a form of storytelling that suits almost any format that you can imagine. Choose as many as you like. Once you write the entry, it’s easy to adapt it to work across multiple formats at the same time. Are you planning on going the digital route? Review all the restrictions that apply to a family history blog, as they apply here as well. What I love about the concept of a family history newspaper is the scalability. It can be as big, or small, as the story (and your vision) require. 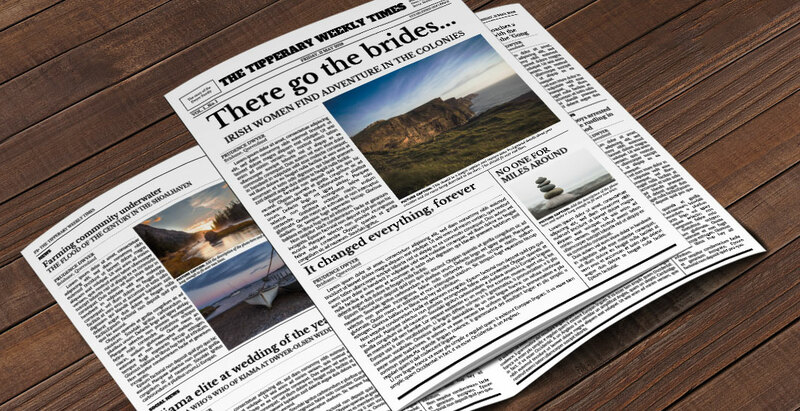 Going to be a large newspaper or a small one – you don’t have to produce a broadsheet! Or start small and see where the project takes you. Start with one ancestor or their family, then review and revise. Because papers themselves can vary extensively, you can include whatever you can dream up. Once you decide the initial format (online or printed), then look to your favourite news source for inspiration. Unlock your imagination and get creative with the structure of your paper. Turn to your favourite news source for inspiration on the type of categories, columns and other features to include. Once you start planning, I bet that you’ll end up with more ideas than spaces in the newspaper! You can change the topic of your newspaper for every edition. 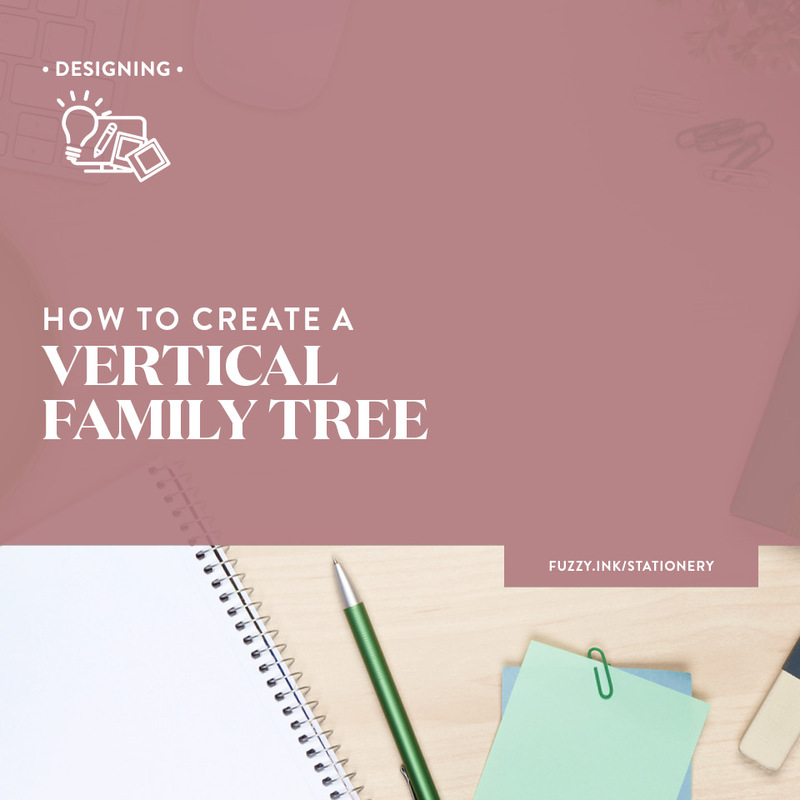 For example, create a standard copy to share stories of a particular family unit. Then drill down to focus on just one ancestor with a special edition of your family history newspaper. These are your stories; you choose how to tell them. Just like every other newspaper, these family history editions are suitable for printing or publishing digitally. Or do both or a combination of the two (EG release all editions digitally but print special editions to create a unique memento). A digital version may build an audience faster, but printed copies will delight the family history enthusiasts in your clan. None of us has time to take on publishing a daily newspaper. Create a plan that suits your or publish content spontaneously when time allows. You may prefer to write several small papers before “publishing” or create one bumper issue every year. Newspapers rarely have one contributor, so this is the ideal project to invite your relatives to submit an article. Start handing out those by-lines! Especially if it’s something that you are creating for a family reunion. Before you start work, you will need to know what story you are telling. Even if you publish several issues of your family history newspaper, you’ll still need a structure of the content. If printing, the page count will need to be divisible by four. Then print as a booklet on a larger sheet and fold in half. For example, print 4x A4 pages on A3 and fold to make a booklet. Storytelling via social media may sound like an awkward concept, but most of us already do it every day. We share snippets of our lives with friends and family to share our experiences and stay connected. Sentences connect to tell a story, and so do our posts. 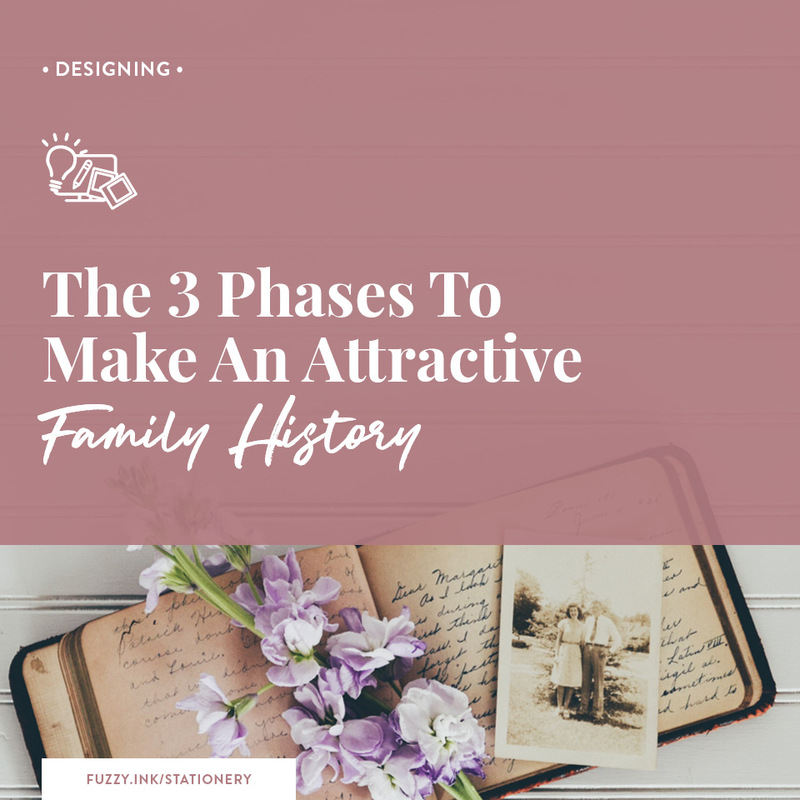 This idea is applying that exact process to specific content that focuses on your family story. It’s no different to a business account on Facebook or Instagram. Except instead of talking about products, you’ll be posting about your ancestors. And rather than spontaneous posting, you’ll approach it with the purpose to control the story you are telling. Social media strips away the barrier that distance creates. You can interact with everyone the same way, no matter where they (or you) are. Which makes it a great way to collaborate with relatives on the other side of the world. Social media is a part of our day-to-day lives, so it’s likely that your audience is already there. So getting their attention should be as easy as letting them know that you are. Once you’ve connected with them, then you automatically show up in their newsfeed. Which means they don’t have to remember to check for updates because the newsfeed advises when you post new content. Social media storytelling is hands down the best option for interacting with your audience. They can comment, respond to polls or engage with you via live video. And you can create engagement with questions or photos of your ‘behind-the-scenes’ process. Are you going on a genealogy vacation? Take your audience along via regularly posted pictures of your adventures. Facebook groups, in particular, are a fabulous way to collaborate with others. It’s an easy way to share information and create lively discussions about interpretations, and family stories. Social media is a visual medium, and most platforms make it very easy to share photos or videos. Why? Because images are the fastest way to grab attention and create engagement with your audience. While ancestors’ photos are great, none of us has a limitless supply of those. So, get creative and include memes, infographics or create your own using an app like Canva.com. Because once you have their attention, then you can use words to tell the rest of the story. Review all the restrictions that apply to a family history blog, as they are relevant here as well. Social media platforms are not something you control so if that platform goes away then so does your content. Be conscious of privacy and copyright when you publish on a social media platform. Always read the terms of service of each platform you intend to post on. Review the privacy and security settings of your account so you know who can see what you post. It’s online only without an offline option for people who don’t want to create an account. Traditional storytelling won’t work well as blocks of text longer than a couple of paragraphs are hard to read. There are limits to formatting the text formatting. On a personal level, a family history game appeals to me the most. It reminds me of my childhood and the fun of creating games with my siblings. Therefore, it’s a perfect option for those who share similar memories, but probably a stretch for those who don’t. From a creative standpoint, I think this concept has the most variety. There are so many different game types that you can make this whatever you want it to be. Even limiting yourself to tabletop games, you have the choice of board, card, dice, tile, guessing, and pen and paper. Therefore, I think that we are onto something with this idea. get creative and make something entirely your own. 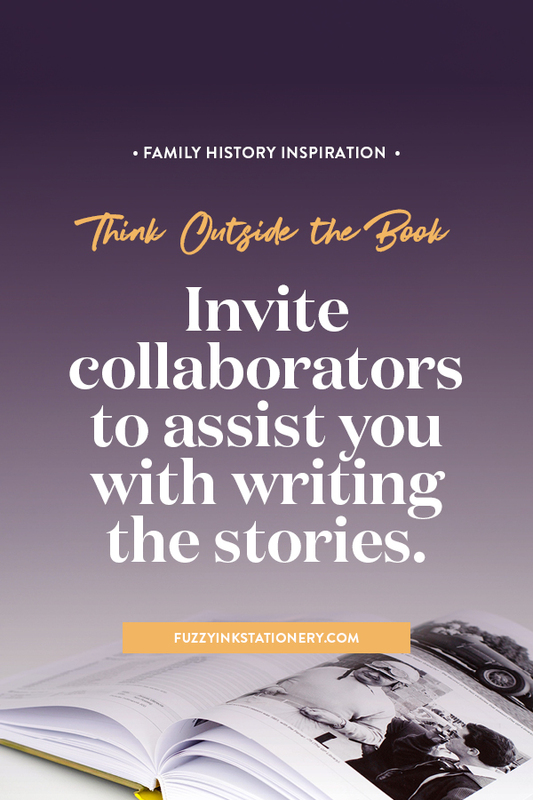 A Think Outside The Book option where you can include others in all parts of telling the story. So get your kids and siblings to help you with both creating the game AND playing it. There is no limit to the number of games you can create, especially if you are making ancestor editions. Use the same ancestors in every game so that your family quickly become familiar with those names and face. It might surprise you how much knowledge that you can pick up from having fun. Keep the storytelling consistent, and they’ll be telling you about your ancestors before you know it! Ancestor games and family reunions go together like popcorn and butter. Are you looking for lucky door prize inspiration? I bet that Ancestor Edition card decks would be a welcome gift! Or do you need group activities? A trivia game would involve everyone, and you’d quickly find out who knows their family the best. Fixing errors means either reprinting or getting creative with stickers and markers. Not a suitable format for traditional storytelling but a great way to introduce your relatives to their ancestors. 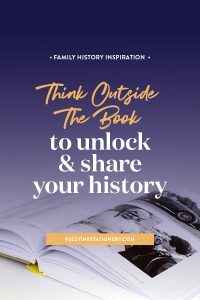 The Think Outside The Book alternatives shouldn’t replace a family history book altogether. The goal is to help you start telling your ancestors’ stories. No matter which option you choose remember that the outcome is the same for all of them. And that is that you begin turning your research into shareable family stories. Another thing to remember is that you can use those stories again and again in whatever format you choose. if you wait until you are “ready”, then you might not start at all. Even though I only had five alternatives, to begin with, investigating and writing about them encouraged new ideas to develop. So if I’d waited until I had more, then this series would still be on my to-do list. That is because the new ideas didn’t come from just thinking about the topic. Instead, they came from the action of researching and investigating the alternatives that I did have. Why is that important? Because by telling your ancestors stories you give yourself the opportunity to discover more. More about them, more about the time in which they lived and more clues to help you in your research. Which of these five Think Outside The Book alternatives would you use to tell your family stories? Share your thoughts in the comments in the comments below.